3 Comments Published by Cedric Benetti on Thursday, February 19, 2009 at 2/19/2009 08:51:00 PM. 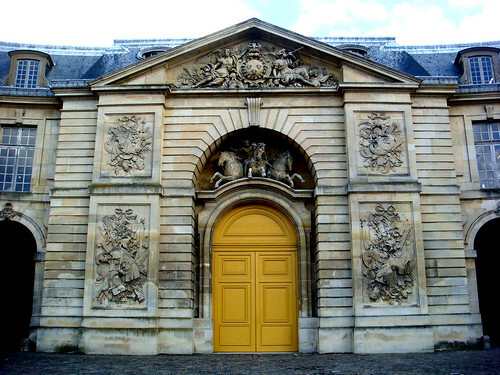 The royal horsestables of Versailles, built in 1681 by Hardouin-Mansart used to be a heaven for horses. 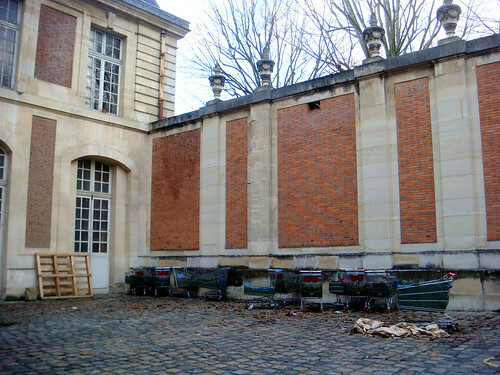 Then in the 20th century, an art school moved in the unused spaces of one of the Ecuries. 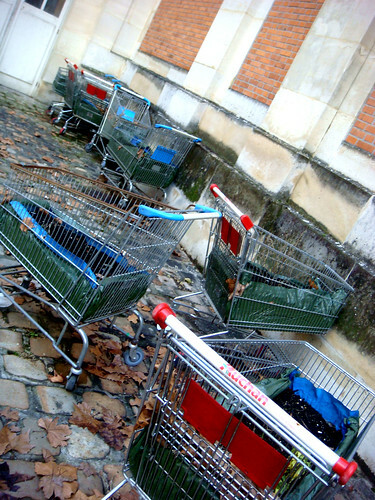 ...and abandoned shopping carts. Yes. Shopping carts. Special shopping carts. With green stuff growing inside. Now you may ask "wtf". But I am sure there is a logical explanation to all this. 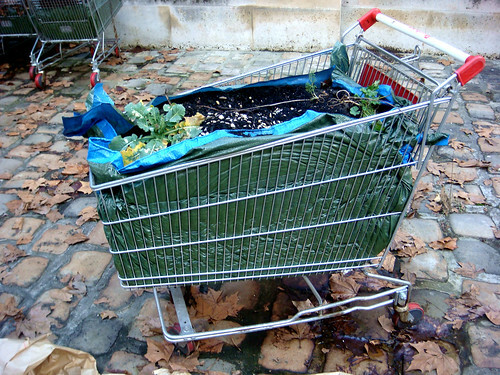 Maybe it is a mobile arboretum. Or a homeless guy's private garden. Or maybe it is a separatist colony of plants who just prefer their own mobility over a nice spot in a public park. Who knows. Try to interview a plant. It is not easy. My last guess: could be a secret burial ground where plants come to die. Stupid, but at least it gives tourists the opportunity to witness something else in Versailles in stead of a castle stuffed with heavy mass-tourism all year round. Incredibly odd. And what were you doing lurking around back? I think it was one of the teacher's doings; you know the rep that artists have. you're very creative. you capture everything!! 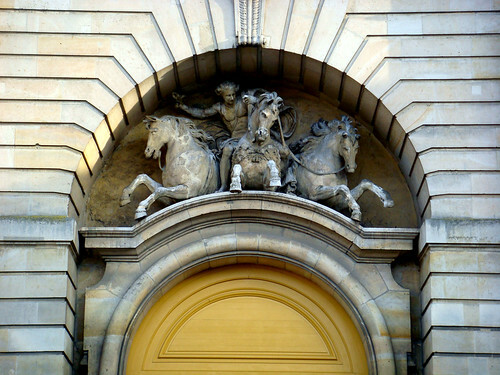 What an absolutely lovely collection of photographs you have here on your blog! 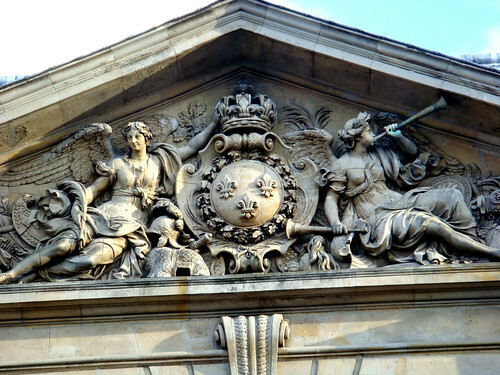 I was immediately drawn to your images of the Palace of Versailles. It looks stunning. But no matter how gorgeous the architecture of that structure might be, I was more interested in these shopping carts with plants in them, hence the comment. I am not sure who did that or why, but no matter. I think it's funky and I really appreciate funky things; out of the ordinary situations and imagery. Great shots! Fantastic!